Like every era, the Renaissance brims with stories. 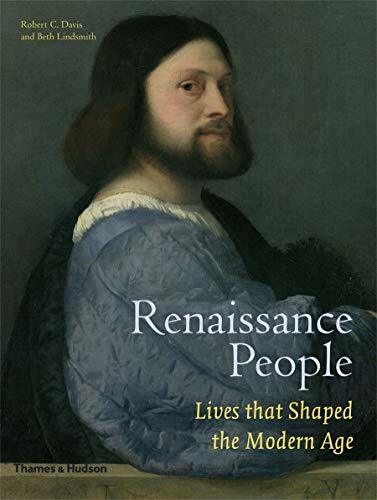 In this book, Robert Davis and Beth Lindsmith highlight dozens of notable lives from between 1400 and 1600. They bring to life wily politicians, eccentric scientists, fiery rebels and stolid reactionaries, as well as a pornographer, an acrobat, an actress, a poetic prostitute, a star comedian and a least one very fretful mother. Some names are famous Leonardo, Luther, Medici and Machiavelli all feature but many others will be new to general readers. Their stories 94 in all remind us that history is more than dates and abstract concepts: it also arises from the lives of countless individual men and women.